I should know better already, but I got fooled. I apologize with all my heart. 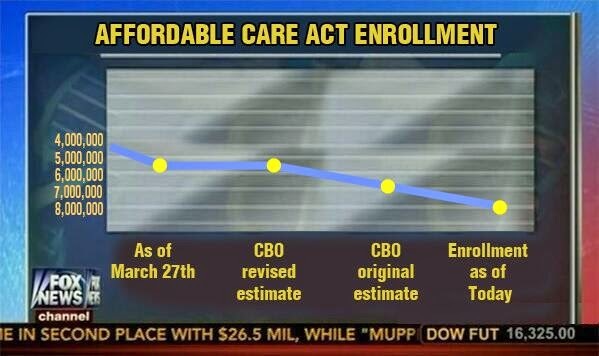 Today, Sociological Images' Lisa Wade lambasted the chart on the left, supposedly designed by Fox News. I got a quick laugh and wrote about it, as I like to make fun of Fox's track record when it comes to charts (see this and this, too,) and the recent discussion about inverted Y-axes was still fresh in my mind. Well, the chart is a hoax. See number 6 here. Some people have pointed out that the joke fooled so many of us because it's so similar to other graphics Fox made in the past, but that doesn't justify the mistake. At all. Journalism is, above all, a discipline of verification. UPDATE: Two of my followers have suggested that I should erase the first tweet. I won't. I don't think it would be ethical to do so. Instead, I'm following the strategy outlined here (and here): Warning the people who are spreading the hoax because of me. I've sent around 50 100+ messages already.